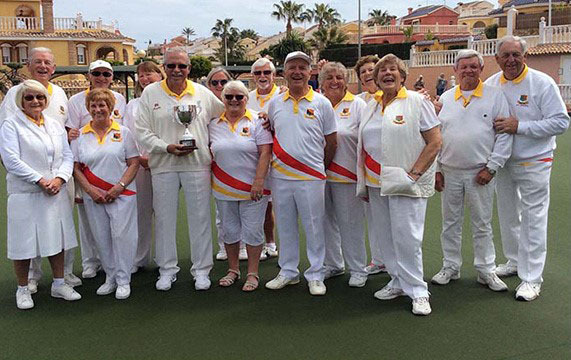 For the 10th year running BBC Lions secured the Northern League Championship. 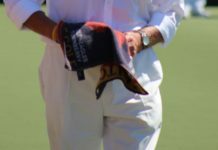 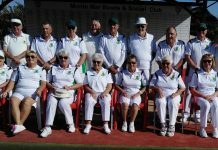 Seven months of league bowling ended at Montemar on the 1st April. 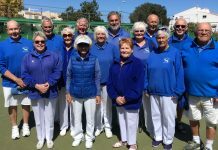 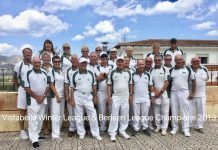 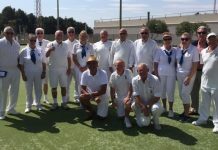 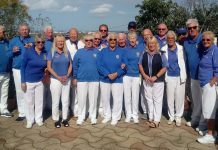 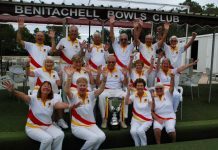 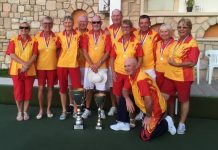 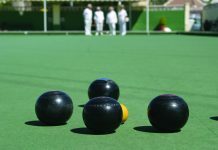 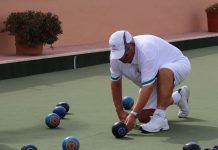 It was a fantastic final game of bowls which went right down to the wire, the very last bowl could have gone either way, but, in a nerve racking last end our BBC LIONS team made it with a result of 3 winning rinks against 2 winning rinks from VISTA BELLA LANZADORES. 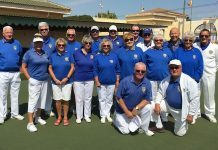 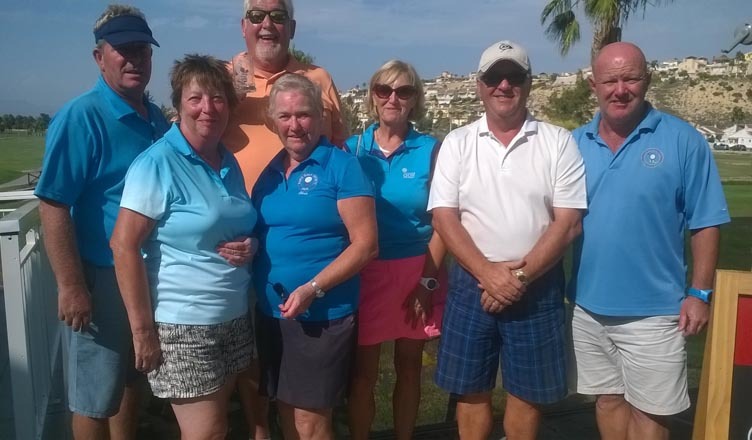 All 5 teams played well with all players contributing but when it came to the tough finish praise must go to the very experienced lady skips of Maggie Lawley & Jacquie Roberts for pulling off fantastic shots with their final 3 bowls. 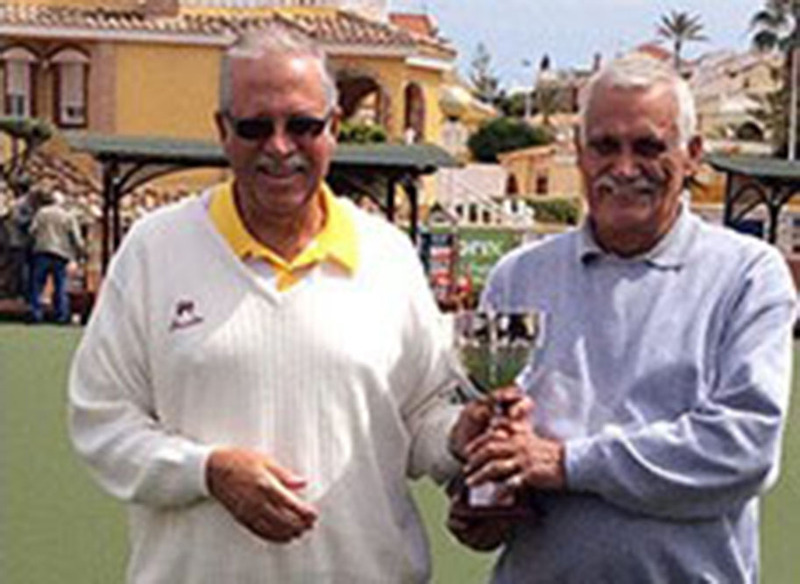 The cup for the Winners was presented to the Lions Captain Dave Roberts – a job well done.